Donald Trump’s tweet last week declaring that transgender people are no longer welcome in the US military is just the latest in a series that will offend those (like me) of liberal sensibilities. At the time of writing, it seems unclear how, or even whether, the policy will be implemented. But the tweet highlights once again the extent to which trans people continue to be discriminated against, even in liberal western societies. Many of us struggle to understand what it’s like to be trapped in a body which does not match your gender, or to feel that you don’t fit into any fixed gender category. For much of the 20th century, those who expressed such feelings were regarded as mentally ill. 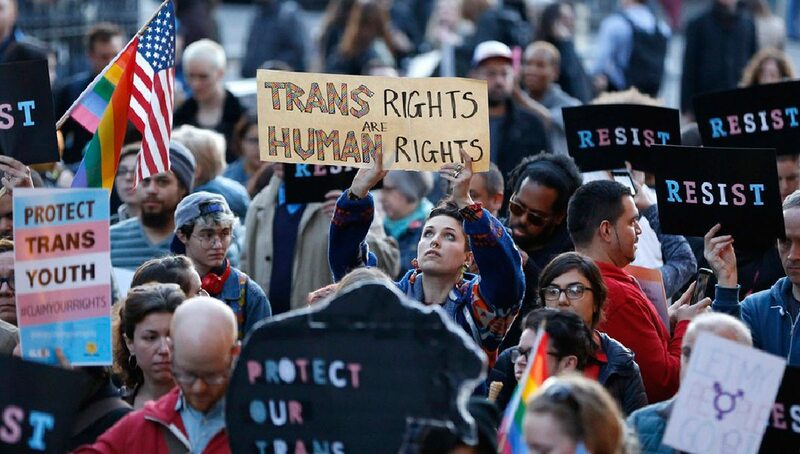 There are plenty of accounts of trans people (in relatively recent history) being institutionalised, subjected to electric shock therapy, or even lobotomised. Today, these types of treatment are discredited. Identifying as trans is no longer seen as a mental disorder by medical and therapeutic professions. But the prejudice remains. Trans people are still regularly attacked on the streets, and discriminated against in the work place. Many are shunned by family or friends. Last month, the General Synod of the Church of England passed a motion calling on parish churches to welcome and affirm transgender people, and consider whether there could be special services to mark their new gender identity. This was a positive step forward. At the same meeting, the Synod also voted to ban ‘conversion’ therapies (often practiced by well-meaning Christians) which try to change the sexual orientation of gay people: a move that was welcome and widely reported. What was less widely reported was that the Synod deliberately voted not to extend this same level of protection to trans people, even though leading medical and therapeutic bodies support such a ban. This ambivalence seems to be indicative of where we are now as a church and society in relation to those who identify as trans: wanting to be welcoming, but still wary and suspicious. Several months ago, the Archbishops of Canterbury and York made a plea for the church to become a place of ‘radical Christian inclusion’. I’ve preached sermons on similar themes myself. But if this plea means anything, it must also include trans people. The evidence suggests we have a long way to go.